The Green Line extension to Somerville and Medford would run along an existing railroad right of way, shown below. 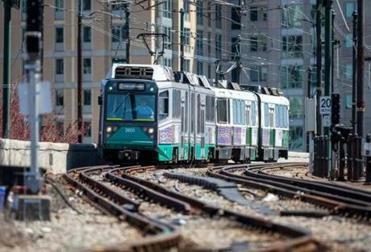 The Massachusetts Bay Transportation Authority and the firm hired to manage the Green Line extension ignored multiple signs that showed the project’s costs could eventually balloon, according to a report released by the MBTA on Friday. The examination of the Green Line project provides more insight into the confounding process that has been described by consultants as riddled with problems. 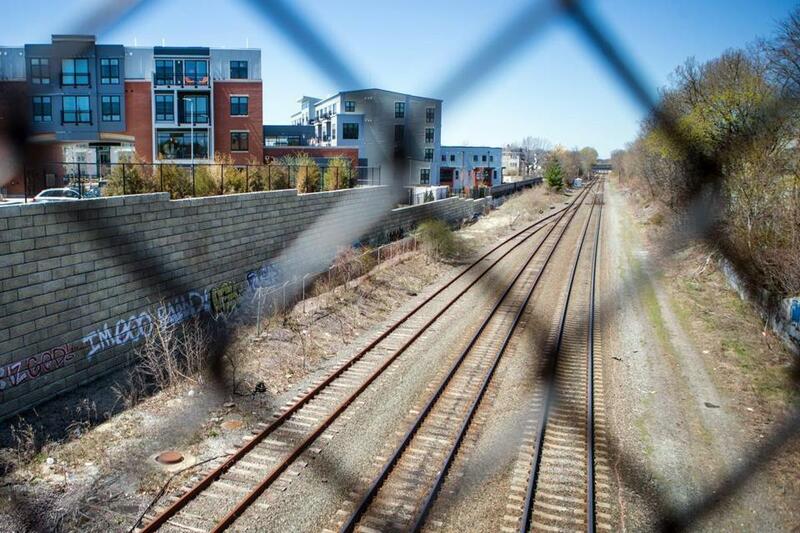 The future of the project is in jeopardy as the MBTA tries to cut costs and find other funding sources for the extension into Medford and Somerville. Berkeley Research Group, the firm that authored the report, was hired to analyze how the costs had escalated so quickly. Consultants from the firm publicly presented some of its findings to the MBTA’s control board in November, but the MBTA cited “attorney-client privilege” to keep the written report private. The MBTA released the report on Friday under orders from the state’s supervisor of records, after Commonwealth Magazine, Boston.com, and the Globe appealed the MBTA’s refusal. The report noted that the MBTA and HDR/Gilbane, the firm hired to manage the project, relied on HDR/Gilbane’s budget estimates, despite signs that the numbers were probably unreliable. For example, the construction firm hired to build the extension, White-Skanska-Kiewit, was predicting a vastly higher budget than HDR/Gilbane anticipated. “The MBTA and HDR/Gilbane did not adequately respond to early clear signals that the HDR/Gilbane estimates were too low,” the report said. Jack Wright, who worked on the Big Dig, will temporarily lead the effort as the state determines whether it will go forward. The report says that White-Skanska-Kiewit estimated the construction costs of the project to be about $1.17 billion in December 2013, months before HDR/Gilbane said that the construction budget would cost about $853 million. If the MBTA had used the $1.17 billion construction budget estimate, the project would be estimated to cost closer to $2.35 billion with contingency and other costs. Instead, HDR/Gilbane estimated the project would cost $1.99 billion, and submitted that number to the federal government for substantial funding — nearly $1 billion — that was pledged in December. One warning about the trouble brewing with the cost estimates came from Hatch Mott MacDonald, a firm hired to provide additional independent oversight of the project. Because the MBTA was working with vastly different budget estimates from HDR/Gilbane and White-Skanska-Kiewit, Hatch Mott MacDonald said in January 2014 that the MBTA would need to reconcile the two budgets. The consultants found, however, that it had not. That’s partly because another firm hired to provide independent cost estimates, Stanton Constructability Services, told the MBTA in January 2014 not to worry about the discrepancy. Stanton suggested that the construction firm’s first estimate is “normally too high and that its subsequent pricing” would eventually be lower for other phases of the project, the report said. The MBTA and HDR/Gilbane relied on that advice. Representatives for HDR/Gilbane and White-Skanska-Kiewit did not respond to requests for comment Friday. The MBTA has wound down its contracts with both firms, as well as Stanton Constructability Services and AECOM/HNTB, the group selected as the final designer for the project. The report found many flaws in the MBTA’s management of the project: Essentially, the MBTA did not fully understand the contracting process — called “construction manager/general contractor” — that it used. The MBTA and HDR/Gilbane also didn’t follow best practices with regard to the contracting process, which would have forced White-Skanska-Kiewit to be more transparent regarding the costs for its work, the report said. As a result, the MBTA wasn’t able to evaluate whether the costs from White-Skanska-Kiewit were reasonable or appropriate. White-Skanksa-Kiewit was allowed to negotiate in a way that would increase its payments from the MBTA, according to the report. For example, the consultants found that White-Skanska-Kiewit was able to increase its prices through add-ons for work that was supposed to be part of the original contract. The rules of the contracting process allowed White-Skanska-Kiewit to be awarded a contract as long as it was within 110 percent of the cost estimates of another firm that was hired to provide independent contract estimates. “WSK was allowed essentially (to) start high and negotiate until it was within 110 percent” of those estimates, the report said. Consultants also said that the Construction Industries of Massachusetts had helped develop the rules for the contracting process with the Inspector General, so “the MBTA was not in a position to fully protect the public interest.” In addition, the report said that the MBTA put a premium on getting the project done within the schedule it was submitting to the federal government, perhaps to the detriment of the project. The agency apparently agreed to one $116 million contract that was $54 million over budget because it wanted to expedite construction. This week, the MBTA appointed a new interim leader for the Green Line project, and announced it would try to announce a new budget estimate by April 7. On May 11, the state transportation board is slated to begin discussions on whether to move forward with the extension.